When working with space systems the keyword is resources. For a satellite in orbit all resources are scarce and the most critical resource of all is power. It is therefore crucial to have detailed knowledge on how much power is available for an energy harvesting satellite in orbit at every time—especially when in eclipse, where it draws its power from onboard batteries. The challenge is to maximise operational performance of a satellite, while providing hard guarantees that critically low battery levels are avoided, taking into account these power restrictions. Classic approaches to workload scheduling and analysis are not suitable, because of heterogeneity, interdependencies and system dynamics involved. 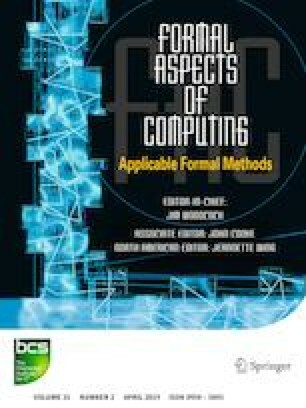 This paper addresses this problem by a two-step procedure to perform task scheduling for low-earth-orbit satellites exploiting formal methods. It combines time-bounded cost-optimal reachability analyses of priced timed automata networks with a realistic kinetic battery model capable of capturing capacity limits as well as stochastic fluctuations. We also discuss how the time-bounded analysis can be embedded into a workflow that exploits in-orbit current and voltage measurements so as to perpetuate the task scheduling. The core procedure has been exercised in-orbit for the automatic and resource-optimal day-ahead scheduling of GomX–3, a power-hungry 3-unit nanosatellite. We explain how this approach has overcome existing problems, has led to improved designs, and has provided new insights. This work has received support from the EU 7th Framework Programme Project 318490 (SENSATION), by the European Space Agency under contract number RFP/NC/IPL-PTE/GLC/as/881.2014, by the ERC Advanced Investigators Grant 695614 (POWVER), and by the CDZ Project 1023 (CAP). We are grateful to Boudewijn Haverkort and Marijn Jongerden (both from Universiteit Twente), Kim Larsen, Marius Mikučonis, Erik Ramsgaard Wognsen (all from Aalborg University), and all further participants of SENSATION as well as experts at GomSpace for very fruitful discussion and support.